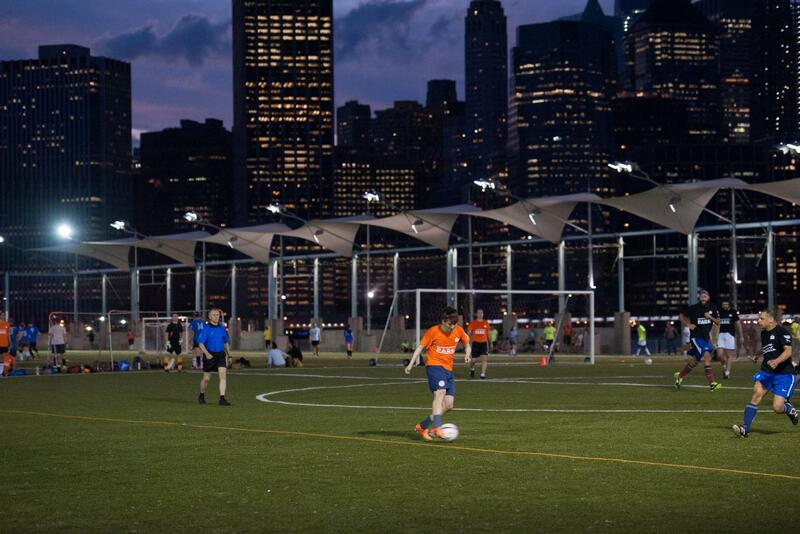 Score goals for your team on one of the city’s most unique and picturesque turf playing fields located on Pier 5. Get in the game on one of three soccer fields. Two can be joined to create one regulation-size pitch. Click here to view the Pier 5 Open Field Calendar. Times listed represent availability for drop in, non-permitted play. NOTE: Registration for the adult Summer 2019 session opens on this page on Tuesday, April 30th. The Brooklyn Bridge Park Conservancy Adult Soccer League is a 6 v. 6 (5 and a goalkeeper) format, with both men’s and co-ed divisions. Games will be on Wednesday nights and will run for 10 weeks (start/end dates subject to change due to weather). All games will be 50 minutes long and will be played in hour intervals starting between 7 - 10 pm. Each team will play in all time slots. Free Agents - will be assigned to a team of other individual Free Agent players. We cannot take requests for participants to be placed on the same team. The fee for a free agent is $150. Teams - rosters can be up to 12 players, co-ed teams need a minimum of two female outfield players on the field at all times, and men’s teams can not include any female player. Team rosters and completed waivers are due before the beginning of the season. The fee for a team is $1500 (plus surcharge). When signing up you will pay a $500 deposit, with the balance due at the beginning of the season. Glasses are not allowed on the field during the game, with the exception of safety glasses. A full list of Metro Soccer rules and regulations can be found here. VERY IMPORTANT: Deposits and registration fees are non-refundable and non-transferable, so please make sure you fully intend to participate. You are not entered for the season until you have received confirmation that your registration has been accepted. Brooklyn Bridge Park Conservancy does not carry medical insurance. Teams can purchase their own insurance here. 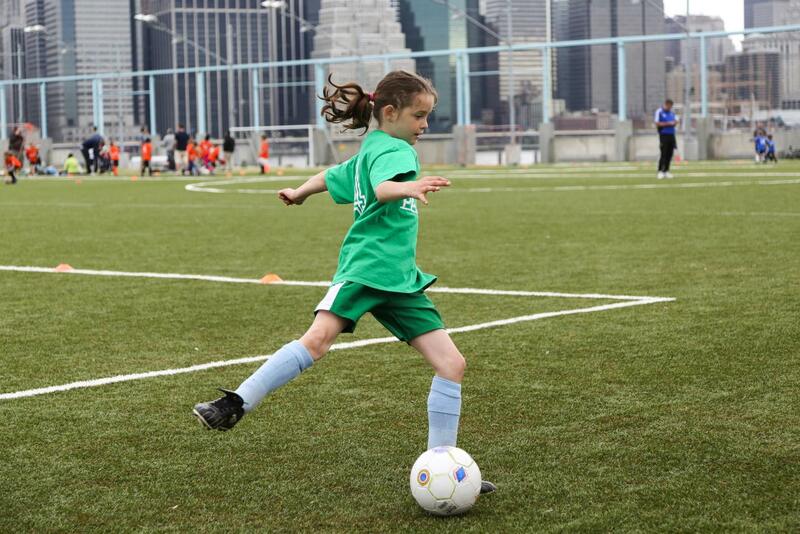 NOTE: The Youth Soccer League takes place in spring and fall only. 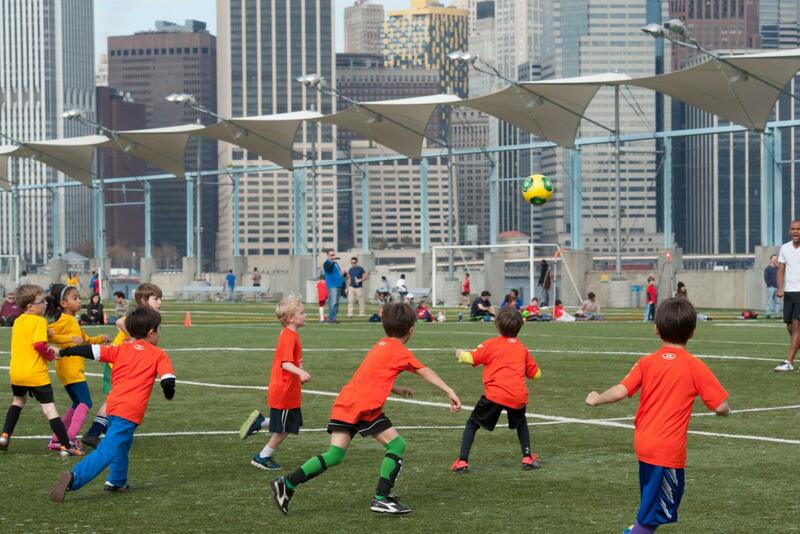 The Brooklyn Bridge Park Conservancy’s Youth Soccer League is for 1st through 6th graders. The league will run for 10 weeks. Start/end dates subject to change due to weather. The registration involves two steps - once you sign the waiver at the link above, you will be redirected you to the webpage where you can complete registration and submit the registration fee. VERY IMPORTANT: The $75 registration fee covers the full 10-game season, and is non-refundable and non-transferable. 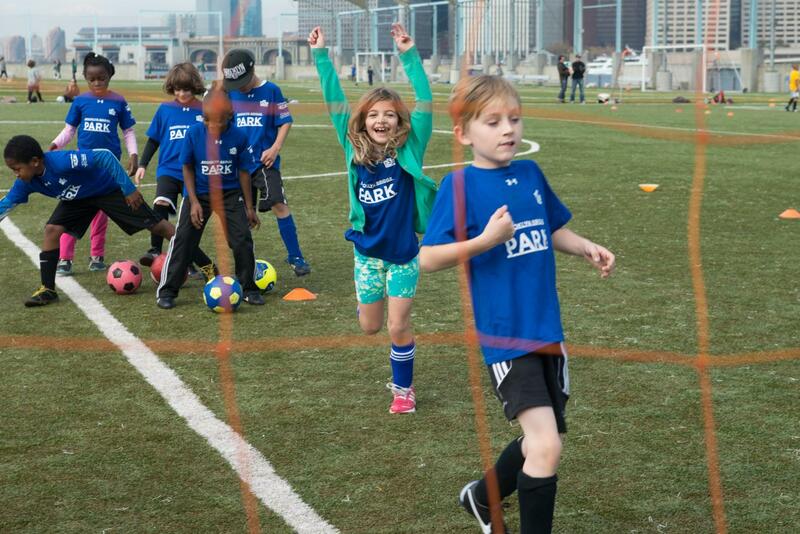 Our program is designed in partnership with Metro Soccer. All teams are coached by volunteer parent coaches, so please consider coaching a team this season. There are only fall and spring sessions for the Youth League. Just coming to watch? You couldn’t ask for a more picturesque place to take in the game. The fields special turf supported by a shock pad and an organic infill of sand and coconut fibers even helps keep spectators cool! 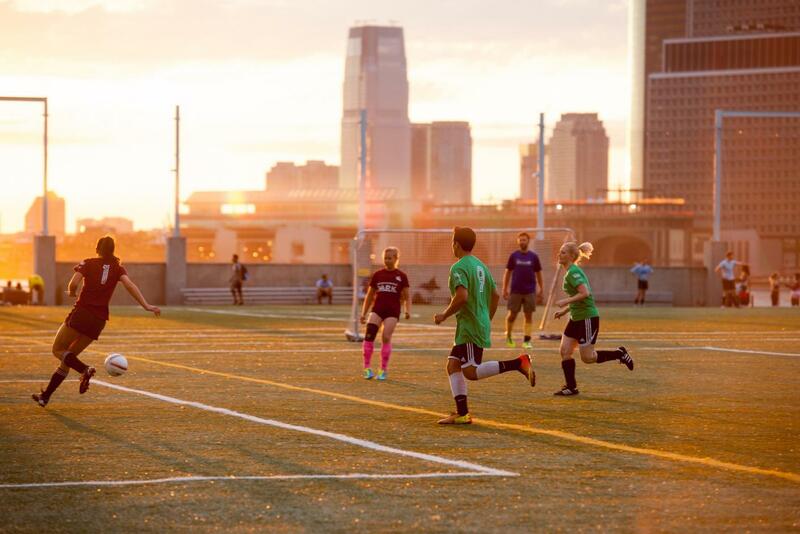 To receive updates on upcoming soccer leagues and Conservancy events, sign up for our newsletter here. 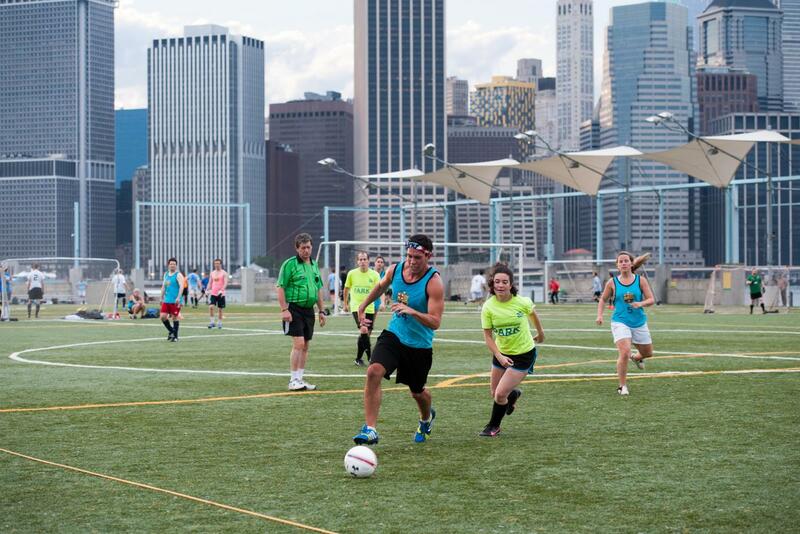 In addition to the many youth and adult leagues permitted on the field, the Brooklyn Bridge Park Conservancy also offers low-cost soccer leagues for adults and kids in the spring, summer, and fall. For further information and questions, please contact soccer@brooklynbridgepark.org. The Pier 5 Sports Fields will be temporarily closed during periods of heavy snow and other inclement weather to preserve the field surface. Please check the alert notifications on our homepage and our Twitter to stay up to date on closures.